2016 Nautic Star 243 DC. Yamaha F300XCA. Warranty 1/5/2022. Bimini Top. Simrad GPS. Floor Mat. Cockpit Cover. Electric Head. Dual Batteries. Stainless Steel Prop. Bow Filler Cushions. Fresh Water. Digital Gauges. Titlt Steering. Docking Lights. Polk Bluetooth Stereo Upgrade. Ski Pole. Magic Tilt Aluminum Tandem Axle Trailer with Spare Tire and Aluminum Wheels. Financing Available. We accept trades. Call us or click on one of the 'Buyers Tools' to get more info. 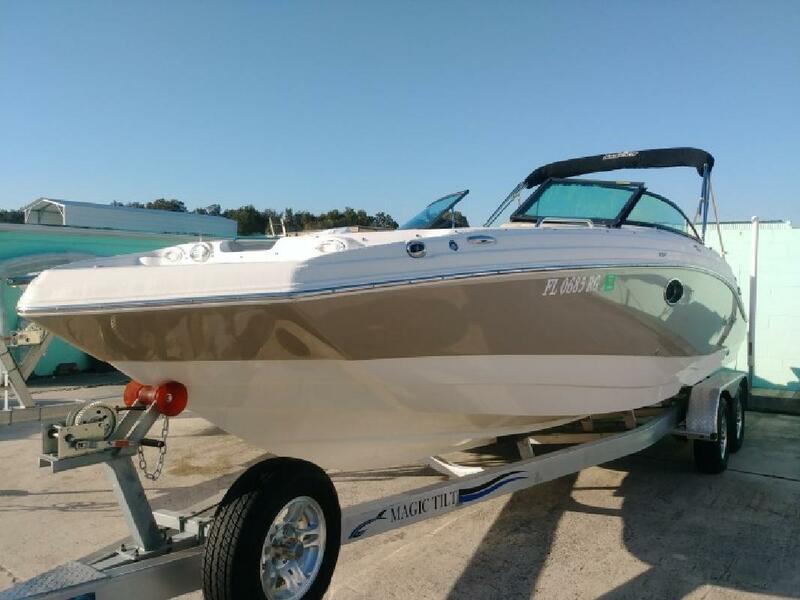 Every New and Used boat is put through a series of checks and inspections and to prepare your boat for the water is a crucial step in insuring that you will enjoy your new purchase to the fullest. Information is subject to errors and changes without notice.